There’s a new Pokemon gaming coming out this year! Pokemon Sun and Pokemon Moon will be with us in due time, along with the announcements of the new starters and the reveal of the new roster of critters. This is an exciting time…and I’m not sure if I should be this excited. Honestly, I really, really don’t know where my love of Pokemon comes from…It’s just the same exact game every single time! I first got into Pokemon back on the original Game Boy. I was on my way to a weekend summer camp, and my dad stopped by a store to pick up some supplies, and I bought a gaming magazine. I don’t even remember if it was about gaming in general or Pokemon specifically. But by the time I got home from camp, I knew I needed to go out and buy Pokemon. I picked Pokemon Blue, for reasons that will be apparent by the end of this list. I loved the game, and I’ve bought every new generation since. I don’t buy the tie-in stuff, like Pokemon Arena or Pokemon Rescue Squad, but I have always bought at least one half of the main games. On two separate occasions, I went out and bought brand new handheld gaming consoles just so that I could play the new Pokemon game. Thankfully, Sun and Moon are still on the 3DS, so I don’t have to destroy my bank account again this year. But in celebration of the new games, and for Pokemon’s 20th anniversary, I’ve dedicated this list to my top six favorite Pokemon of all time! Join me after the jump! I like Absol for purely superficial reasons. 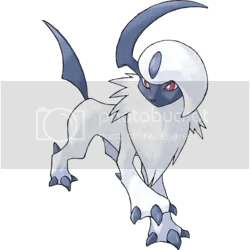 Most Dark Pokemon are really crappy, but Absol is that perfect sort of badass Pokemon that lives up to the Dark title. It looks like one majestic beast, then has those cool dark blades that make absolutely no sense. What is up with its head?! I don’t think Absol has any sort of interesting story behind it, or was in any way a meaningful Pokemon. It just looks totally wicked, and that’s what I like about it. Ah, Missingno, you crazy fool. Missingno isn’t really a Pokemon, but I say it counts, because it’s the exact sort of crazy nonsense that fits into the Pokemon world. 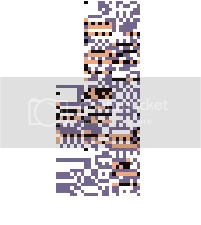 For those of you who don’t know, Missingno was a glitch in the original Pokemon games, a corrupted file that acted like a normal Pokemon. You could fight and capture Missingno (Gotta catch’em all!) — but doing so might destroy your game save. But the best thing about Missingno was that you could exploit the glitch to duplicate your items, and that’s exactly what I did. I spent a long time floating along the island coast trying to find Missingno, and then duplicating all my Master Balls and Rare Candies. For that cheat alone, Missingno will always have a special place in my heart. Here’s another Pokemon that just looks really cool, but to an even greater extreme. 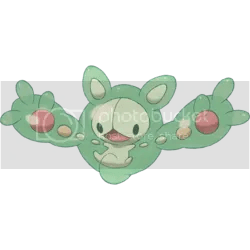 The moment I saw Reuniclus, I knew I had to buy his game. He’s this weird, floating, psychic cell monster, and it’s awesome. He’s just this floating pile of telekinetic jelly, and he looks so happy about it too. I don’t imagine he’s the sort of Pokemon you’d want to snuggle with, but nothing can beat his weirdness factor. Also, I have no idea how to say or spell his name. Speaking of not snuggling with your Pokemon, I love Garbodor and his pre-evolution version, Trubbish. 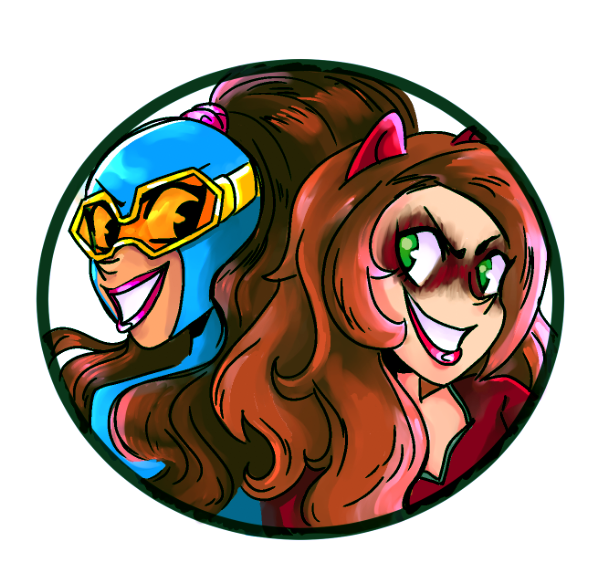 This pair is picked on across the Pokemon world, and I totally understand why. He’s a pile of garbage. It’s disgusting. But that’s exactly why I love Garbodor. I love that Pokemon will turn anything into a new creature. 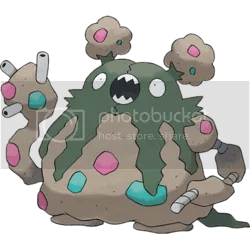 I love that it makes total sense in this universe that the garbage would turn sentient and become Pokemon, just like everything else. Plus the design is just great. He totally looks like a garbage monster. Say what you will, but I picked Bulbasaur for my Pokemon Blue starter without a moment’s hesitation. I knew going in that I would pick Bulbasaur, and I do not regret my choice. Bulbasaur was the champion of my first Pokemon team. His Grass Type moves were killer, and I’ve always leaned Grass since then. 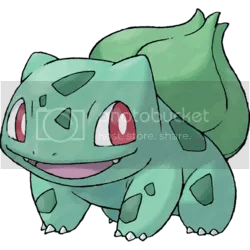 Bulbasaur had the best voice on the Pokmeon cartoon, and that pushed him over the top for me. He’s just so darn cute! Mewtwo is the coolest Pokemon that ever lived or ever will live. It’s as simple as that. They don’t get more badass, they don’t get cooler, they don’t get more powerful or meaningful. I don’t care how many new Legendary Pokemon they try to cram into every game. They got it right the first time. Heck, they got it right twice, with both Mew and Mewtwo. The name seems idiotic, but it just flows off the tongue. Plus there’s his backstory of being a clone, of breaking free from his scientist masters and then going on to be a major figure in the Pokemon cartoon and world. 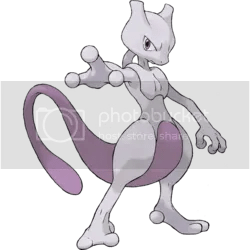 No Legendary Pokemon has ever come close to Mewtwo’s greatness, and that will forever be the case. Simple as that. These are my favorites, what about yours? Let me know your favorite Pokemon in the comments! 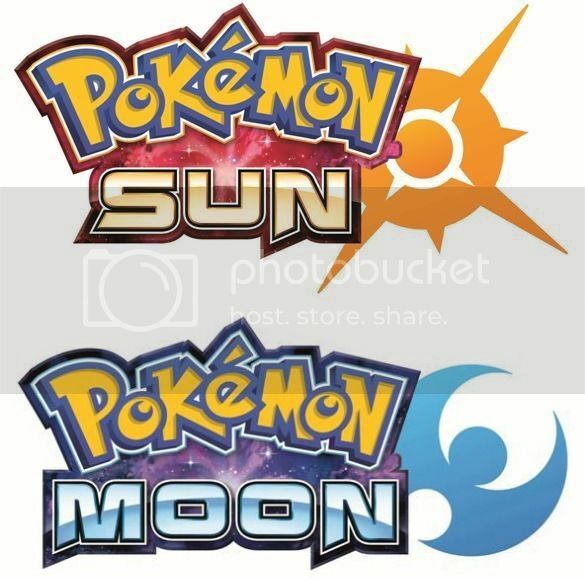 And are you excited for Sun and Moon? Posted on March 2, 2016, in Lists of Six!, Video Games and tagged Pokemon, Pokemon Sun and Moon. Bookmark the permalink. 2 Comments. 6. Charizard – how can you not love Charizard. It’s perfect. 5. Tyrantrum – Can’t believe it took until Gen VI to get a fully realized Tyrannosaurus pokemon that’s part Dragon. 4. Galvantula – Electric and Bug is such a cool typeing. Love having Spidey on my team. 3. Swampert – Mudkip was the first pokemon I ever owned, so I’ve always had a thing for Swampert, who also has a dope typing and dope Mega Evolution. 2. Zapdos – An all around amazing pokemon. Coolest design of the legendary birds. 1. Onix – The giant rock/snake monster has got to be the coolest looking pokemon in my opinion. In the anime, Onix probably could have solved a lot of the team’s problems if Brock remembered to use him more often. Not really a powerhouse in battle, but I love having him on my team.